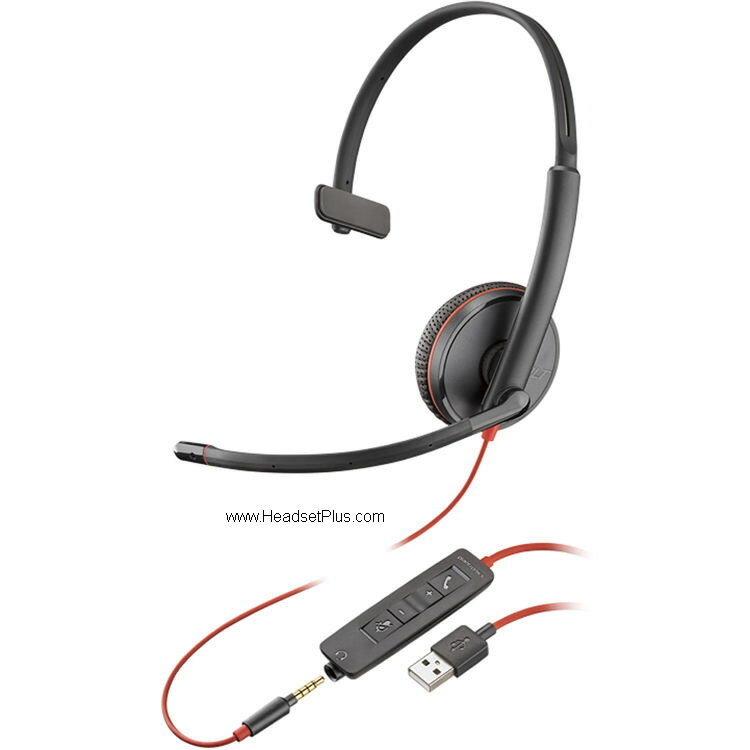 Plantronics Blackwire C3215 USB Headset in the Blackwire 3200 Series, offering leatherette ear cushions that can also be folded flat for easy storage and travel use, Includes a 3.5mm smart phone jack. Inline controls. Microsoft Skype for Business Certified. Also compatible with most major softphone applications. Plantronics Blackwire 3200 series is the best bang for the money for large call centers.